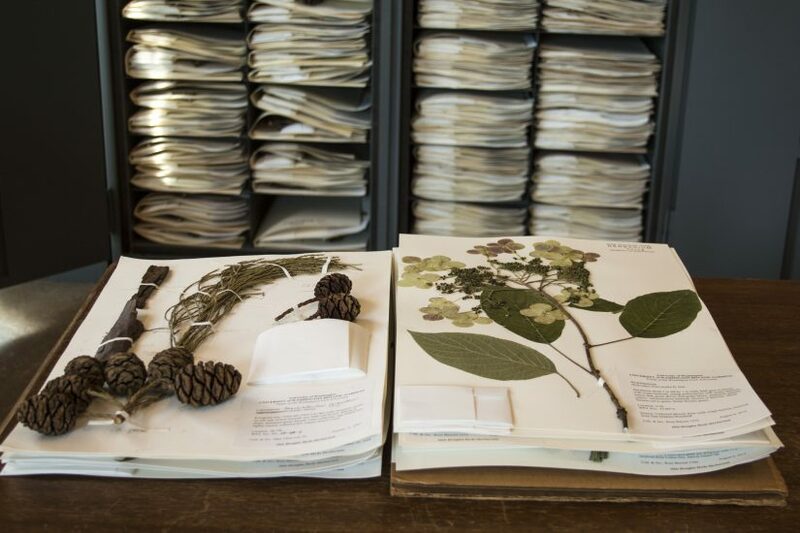 The Hyde Herbarium collection primarily comprises plants from the Washington Park Arboretum, horticulturally significant plants, and invasive plants. The collection currently stands at more than 24,000 pressed plant specimens. We continually expand the collection through active collecting by our volunteers and by trading with other herbaria. 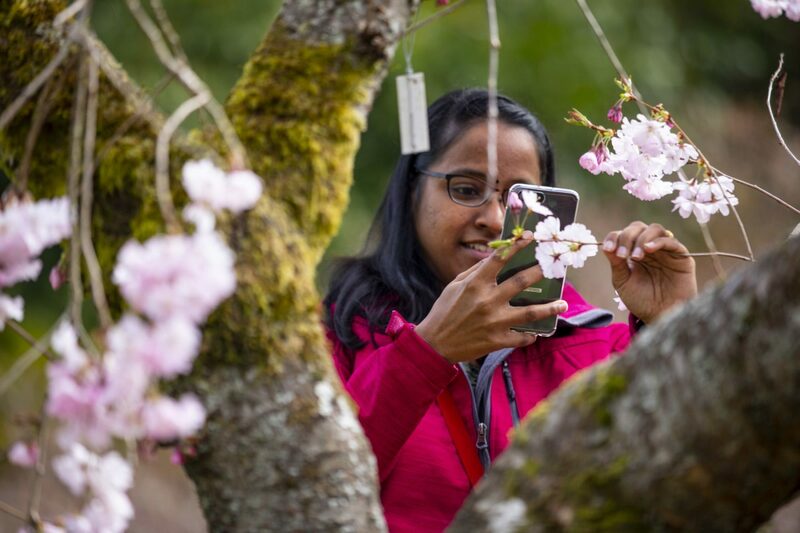 The majority of collecting takes place in the Arboretum, the gardens of the Center for Urban Horticulture, the perennial borders of the Bellevue Botanic Garden, the Rhododendron Species Garden, the Miller Botanical Garden, and for native plants, the Union Bay Natural Area. The herbarium also has more than 500 specimens originally from the UW Botany Greenhouse collection, including a variety of tropical ferns, carnivorous pitcher plants, giant lilies, and colorful orchids. The Hyde Herbarium has an extensive collection of voucher specimens of living and historical plants from the Washington Park Arboretum. This collection can be browsed by the public, and is a useful reference for plant identification. 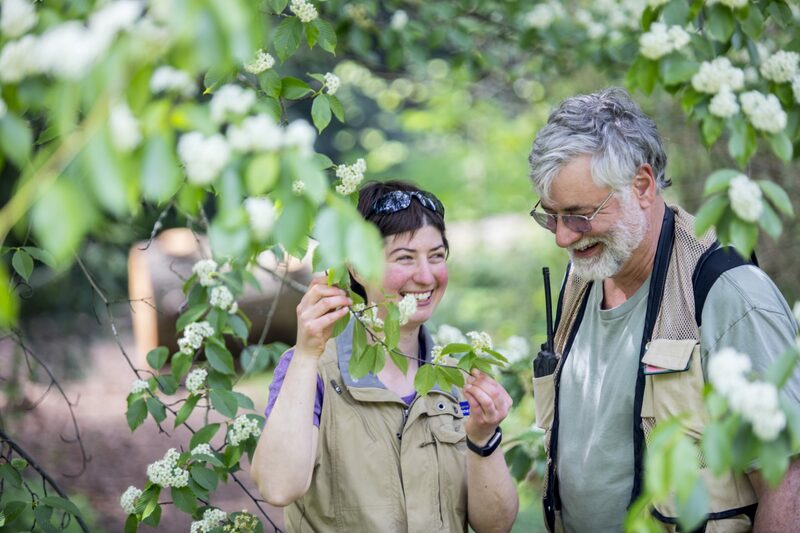 The Hyde Herbarium showcases the biodiversity of the Washington Park Arboretum as well as the range of plants that can be grown in this region. This special collection represents the numerous plants students learn about in the spring quarter class known as Landscape Plant Recognition or Environmental Science and Resource Management/Biology 331. We provide the students herbarium specimens, as well as reference books, botanical dictionaries, a dissecting microscope and guidance from the herbarium staff. Weeds are a nuisance in the garden, but they also outcompete native plants, reduce habitat for native wildlife and are a hazard to range land. Biological invasions threaten portions of our ecosystem, for example, garlic mustard, Alliaria petiolata, creeps into woodlands, and English ivy, Hedera helix, chokes trees and smothers herbaceous plants. Dr. Sarah Reichard, former Herbarium Curator, researched the biology of invasive plants. To complement her work, the Hyde Herbarium collected weeds from around the Pacific Northwest and the world, both to document sources and movement of biological invasions and to bank information about potential new weeds to this area. 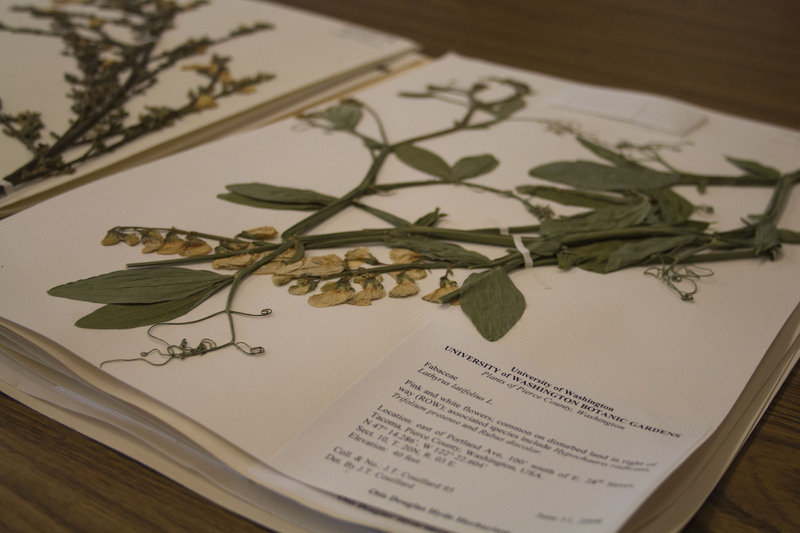 Since 2004, the Hyde Herbarium has curated the Washington State Noxious Weed Control Board’s weed collection. Previously in storage, this collection is now available for public use at the herbarium. This collection is over 630 plant specimens and continues to grow as county noxious weed coordinators and volunteers add new plants. The collection contains some unique weed specimens that are not found in any of our other state herbaria. The Chilean collection was started in the late 1980s to amass plants that would thrive in Pacific Northwest gardens. Dr. Sarah Reichard and Dr. Clement Hamilton, herbarium curators, traveled to Chile to collect plants with ornamental appeal. The climates of these particular regions are similar to the Pacific Northwest, including cool winter rains and summer drought. The Hyde Herbarium hours vary. Please call ahead to schedule a visit. May Flowers Story Time NEW DATE!